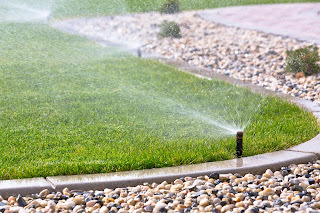 At Altitude Sprinkler and Landscape, we can confidently say why sprinklers are your landscape's best landscape design or to retrofit your yard with an efficient system. Modern sprinkler systems come equipped with sensors to detect moisture levels in the top level of the soil. If it rains during the day, the sensors will recognize this and automatically skip that day's scheduled watering. For homeowners who travel frequently, an automated sprinkler system is an invaluable convenience. It eliminates the stress of arranging for a neighbor to water the lawn while you are out of town or the expense of hiring a gardener. A sprinkler system will keep your garden healthy and hydrated while giving you the ultimate freedom. 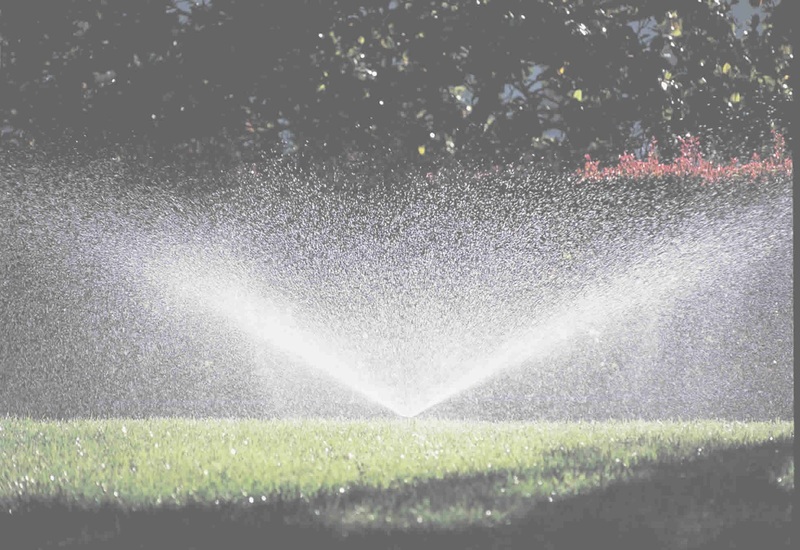 Saving time and reducing water waste, that’s why sprinklers are your landscape's best friend and indispensable for the modern homeowner in a dry climate. 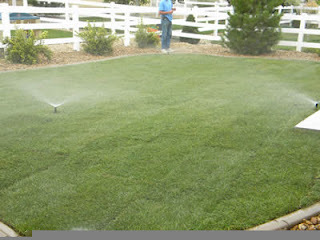 For more information on home irrigation systems and general landscaping services in Denver, contact Altitude Sprinkler and Landscape for your consultation and a free estimate. Did you know that nearly one in three Americans do not know how often to use their sprinkler system? While fertilizer and other products are important, watering is the key component to landscaping success. Adding sprinklers to your property yield a number of benefits. 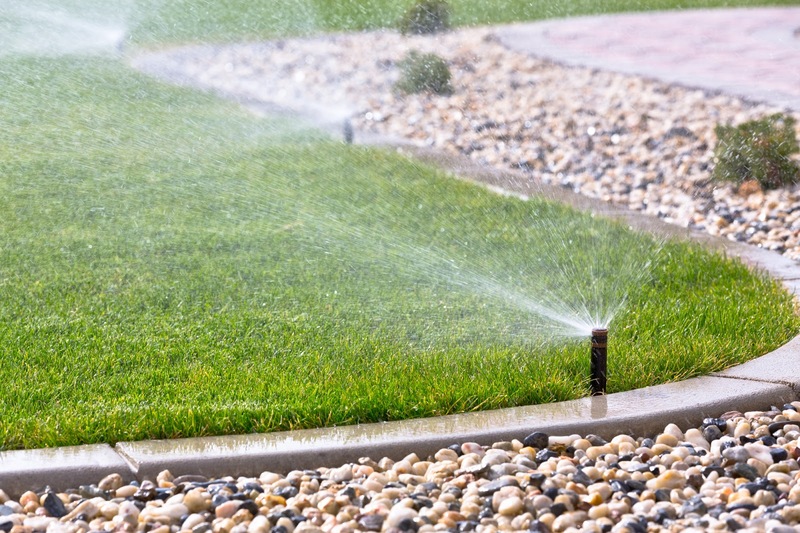 Not only do sprinklers save time, but they also can reduce your monthly watering bill. Read on to learn 10 benefits of installing a high-quality sprinkler system. Learn how choosing the best sprinklers will make your landscape flourish. Is there a more arduous task than moving a manual sprinkler every 15 to 20 minutes? Think about all the time that you waste adjusting the sprinkler. Automatic sprinklers save you time and energy. With a simple timer mechanism, you no longer have to walk to the water valve to turn them on and off. One of the most time-consuming steps is rolling and unrolling the hose. To save time, many homeowners leave the hose unraveled and lying on the lawn. This leads to lawn burn as the hose sits idle on the grass. Also, it gives an unsightly look to the front of your home. 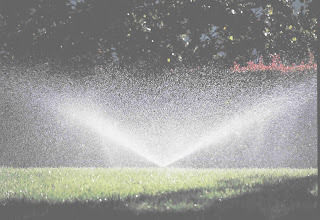 Irrigation systems are a great way to reduce your monthly or quarterly water bill. For starters, timed durations prevent you from overwatering the lawn. In addition, there are system upgrades that can reduce your bill even further. A precision spray nozzle, for instance, is estimated to reduce water usage by 35 percent. Weather sensors are another system upgrade to cut water use. The best thing for lawn health is watering in the morning. Lawn irrigation at night leaves it vulnerable to fungus. At the same time, you should not water the lawn during the hottest parts of the day. This leaves the lawn susceptible to burning. With a control panel, your sprinklers turn on automatically every morning at the optimal time. Fertilizer is a key ingredient to a healthy lawn. However, the instructions are clear that freshly applied fertilizer needs to be watered. With irrigation, fertilizer is thoroughly watered and most effective. Manual sprinklers are limited. They have a maximum reach and often miss spots. 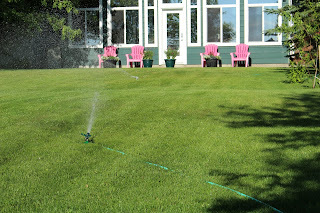 Sprinklers are strategically installed around the lawn for maximum coverage. This way, brown spots are in the past. Sprinklers are not just for lawns. They are great for fruit and vegetable gardens as well. Ditch the watering can. No more daily trips to the water spout to water the garden. Manual sprinklers have a short service life. They only last a few years before they are weathered and ineffective. Automatic sprinklers are buried in the ground. This way, they are preserved from the elements. With zones, you can water different parts of the lawn at different times. This is perfect to create the optimal water schedule. By doing so, you can observe sun patterns. Now you can avoid direct sunlight by watering at the best times. 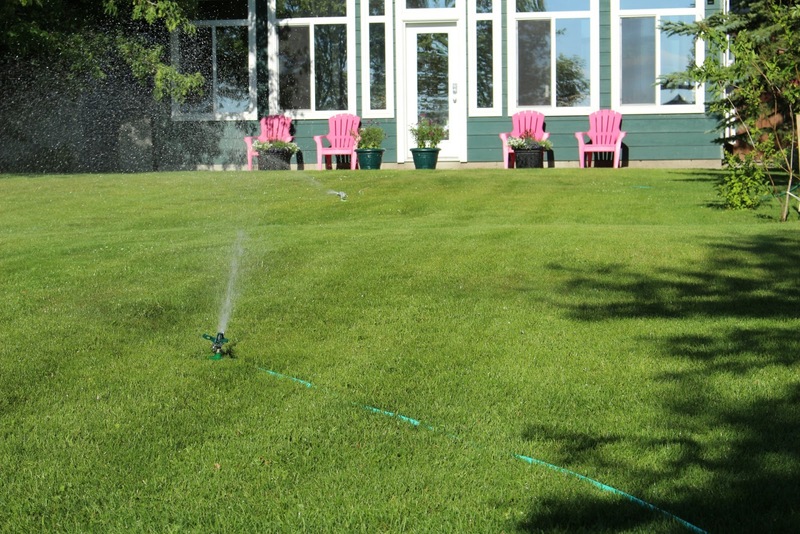 The bottom line is that sprinklers are sure to beautify your lawn. They are an effective tool for optimized watering and help fertilizer application. A sprinkler system yields many benefits. From reducing your water bill to saving time and energy, sprinklers do it all. If you are interested in sprinkler installation, please contact us for assistance. Today, Altitude Sprinkler and Landscape gives our Denver clients a bit of advice on taking care of your landscape in winter. Just because the temperature drops, and you don't spend as much time outside, doesn’t mean that you can completely abandon your yard. To keep your lawn and landscape healthy over the winter, we suggest a few easy measures to take. Some can be done right now before the weather turns cold, but others should be continued throughout the season. 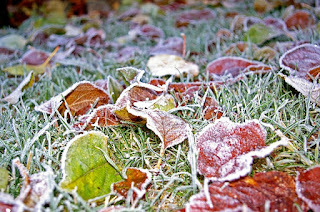 Prepare your lawn for winter by first aerating it while it is still vibrant and green. You can do the job yourself using a core aeration tool, or you can hire a professional landscaper. Aerating compacted soil will encourage the growth of microfauna as well as helping the roots of your grass access water and nutrients. Late fall is also the best time to seed new grass. By the time spring rolls around, you will have a thick and healthy lawn with a strong resistance to weeds. Take the time to prune deciduous trees in the wintertime while they are dormant. This will help them resist certain diseases such as Fire Blight, which commonly affects fruit trees in Colorado. Overgrown spruces, firs, and other evergreens should be trimmed and shaped in winter too. Fertilizing your trees and shrubs in the fall will give them the optimum conditions for growth and replenishment as the temperatures cool down. With plenty of nutrients available, their root systems will stay strong and healthy over the winter months. As temperatures drop, it is a good idea to cut your perennials back to within two inches of the ground. Adding a light mulch of hay or pine needles around the base of these stems will help to keep the plants insulated from the harshest temperatures. Adding a soil conditioner can boost the nutrition levels for lawns and plants over the winter. The winter months are some of the driest in Colorado, so it is important to keep watering your garden at least once per month, however, only water while the temperature is above freezing. Remember, mid-October is the last chance to plant bulbs, so there's no time to lose! Another chore to tackle before the cold weather sets in is winterizing your sprinkler system. This includes draining or blowing out any water left in the pipes, removing above ground sprinklers and shutting off your system for the season. This will prevent the great expense and inconvenience of burst pipes when the temperature drops below zero. Taking care of your landscape in winter doesn't take a lot of time, just some careful preparation. Putting in a little bit of effort in the fall and over the winter months will yield excellent results in the spring. 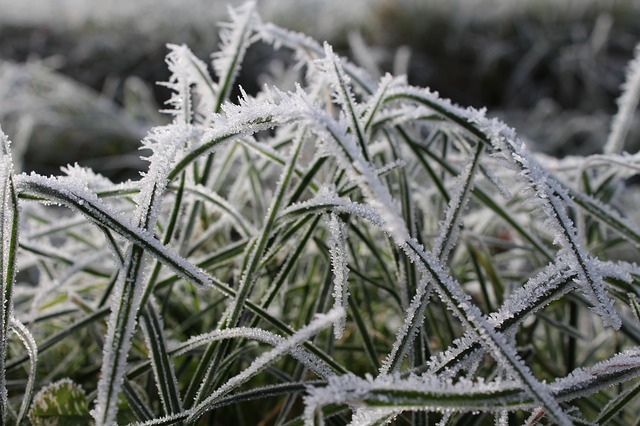 If you don't have the time or the tools to care for your garden over the winter months, our team at Altitude Sprinkler and Landscape can offer a solution. We provide complete landscaping and lawn maintenance services adapted to each season. 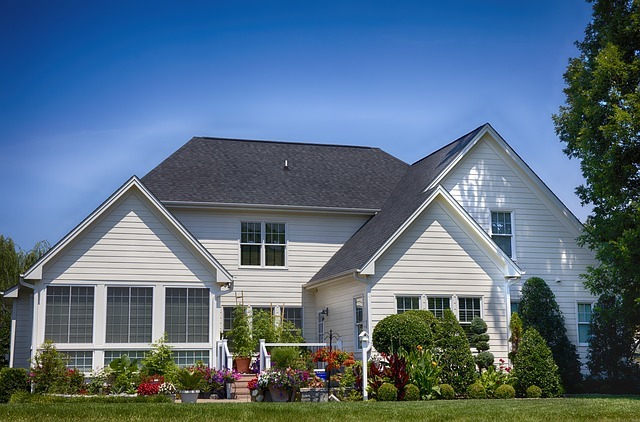 Homeowners across metro Denver can benefit from our professional and affordable service. Today, Altitude Sprinkler and Landscape provides a closer look at how to winterize your Denver sprinkler system. An automatic or even a simple sprinkler system can make life easier in the summer. Keeping your landscape healthy doesn't need to take a lot of time and work when you have a great irrigation system. Although sprinklers are not needed over the winter months, you do need to prepare them for our freezing Colorado temperatures. Since we experience harsh winters, the next step to take in preparing your sprinkler system for the colder months is to shut down the water supply at the main valve. This will prevent water from entering the system, then freezing and damaging your pipes as it expands. Next, find your system's controller or timer and set it to rain mode if that option is available. If not, you can just disconnect it from its power source. Planning your landscape and design in advance offers many transform your vision into reality. Even if you don't have the time or the money to make the modifications right now, having a realistic plan will give you a solid goal to work towards. When planning your garden, another factor that must be considered is the climate. Incorporating plants that thrive naturally in your climate will mean you have less maintenance and lower water bills. Look around at your neighbors' landscaping designs for inspiration and to get an idea of what looks good and what doesn't in your area. Some landscaping features like gas fire pits, automated sprinkler systems, and outdoor lighting require the installation of underground pipes or wiring. 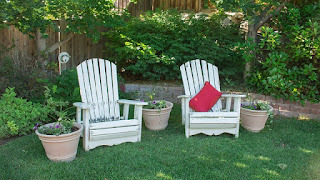 This should be done first to cause minimal disruption of your yard's landscaping as it progresses. With a detailed plan for your landscape, you can create a personally designed space for entertaining, outdoor activities, spending time with kids or pets, hobby gardening and much more. At Altitude Sprinkler and Landscape, we can confidently say why sprinklers are your landscape's best friend. It very rarely works out that your local climate produces the particular level of hydration required by each section of your garden. 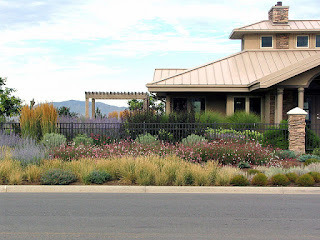 Particularly in dry climates such as Colorado, most plants will need a little extra water to flourish which makes it important to include sprinklers in your original landscape design or to retrofit your yard with an efficient system. At Altitude Sprinkler & Landscape, we offer a full range of landscaping and irrigation services including xeriscaping. But what is xeriscaping anyway? We want to clear up any misconceptions you may have about this method and demonstrate how your yard may benefit from it, functionally and aesthetically. 1. Conscious Design. From the first stages of planning your garden, design with efficient irrigation in mind. Take into account the location of your water source, turf areas, planting areas and dry areas for walking or sitting. Drawing up a plan will make it easier to complete each step of the project. 2. Practical Turf Areas. A xeriscaped garden can have areas of turf, but they are usually designed to be of a manageable size, shape, and grade. Prioritize the areas where you need a lawn, don't just use it to fill empty space. 3. Hydrozone. Choose mostly low-water plants such as succulents and native desert plants. Hydrozone or group together plants with similar water needs. Identify how frequently each zone will require irrigation. 4. Use Compost. Compost or other soil amendments can be added as you plant. This will act as a natural fertilizer to improve the nitrogen and nutrient content of the soil, helping your plants to thrive even in difficult conditions. 5. Incorporate Mulch. Woodchips, cobble rock, and even rubber mulch can be used in xeriscaping. Layering mulch over the soil will minimize evaporation of moisture and will help to keep the soil cool. 6. Efficient Irrigation. Giving the right amount of water to each area of a xeriscaped garden is key. To do this efficiently, some specialized equipment including hose-end equipment can be used. Automated timers can reduce the amount of time you have to spent taking care of the garden. 7. Smart Maintenance. Like any garden, a xeriscaped area will look best if it is properly maintained. Learn how to prune, weed, fertilize and mow your specially designed garden to keep it healthy and looking great. Following these principles will allow you to incorporate a variety of flora into your garden with limited irrigation. A mixture of native desert plants and hardy introduced plants such as iris and tulips can bring visual appeal to a xeriscaped area. You can use your resources and time efficiently to create a beautiful outdoor space, even in the desert. Now that we’ve answered the question, what is xeriscaping anyway, nothing can stop you from jumping on board! Some homeowners think that a practical garden in an arid area means just rocks and gravel with a monoculture of spiny cactus. Altitude Sprinklers and Landscape can help you create a colorful, varied, and even lush garden with controlled water use. Call us today for information on our landscaping services including personalized xeriscaping plans.